Sarah Allen Pickett was born circa 19 June 1837 in Chester County, Louisiana. She was known as Sallie. James Blair Gilmer and Paulina de Graffenried appeared in the US federal census of 1 June 1850 in Bossier Parish, Louisiana. Other members of the household included Sarah Allen Pickett. also in the household were three Gilmer daughters from his previous marriage, and Paulina's sons John (age 17) and James (12) Pickett. The following appeared on 25 October 1854 in The Daily South Carolinian: (Arrivals at Hotels, Oct. 24, 1854) United States Hotel . . . Miss S. A. Pickett, Louisiana, R. C. Cummings, Louisiana. 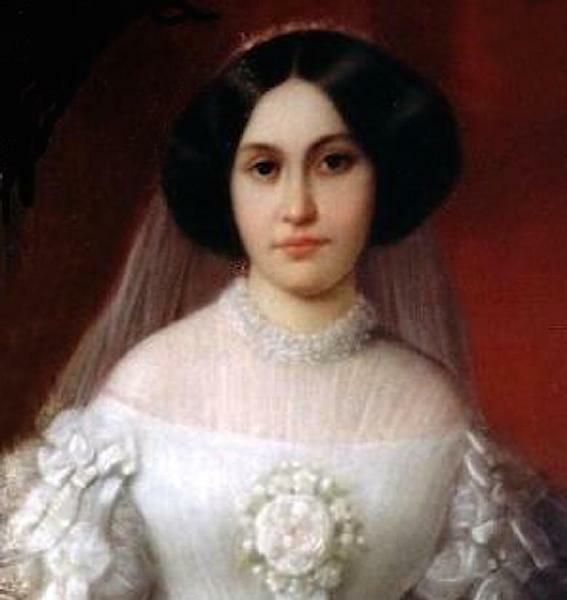 She married Robert Campbell Cummings, son of Robert E. Cummings and Mary Rebecca Campbell, on 19 December 1854 in Bossier Parish, Louisiana, at the residence of Sallie's step-father J. B. Gilmer, with the Rev. J. F. Ford officiating. The following appeared on 1 January 1855 in The Times-Picayune: [Married] On Tuesday, 19th ult, at the residence of Col. J. B. Gilmer, by the Rev. J. F. Ford, Mr. Robert C. Cummings, of New Orleans to Miss Sallie A. Pickett, of Bossier parish, La. Sarah Allen Pickett died on 7 June 1855 in Bossier Parish, Louisiana. Her husband Robert Campbell Cummings became a widower at her death. She was interred at Cottage Grove Cemetery, Benton, Bossier Parish, Louisiana. Research Note: L. P. Spyker's wife Sarah Gilmer was a sister of R. C. Cummings' mother-in-law Paulina de Graffenreid's second husband James Blair Gilmer.